Ken Babal is a clinical nutritionist with over 30 years' experience. 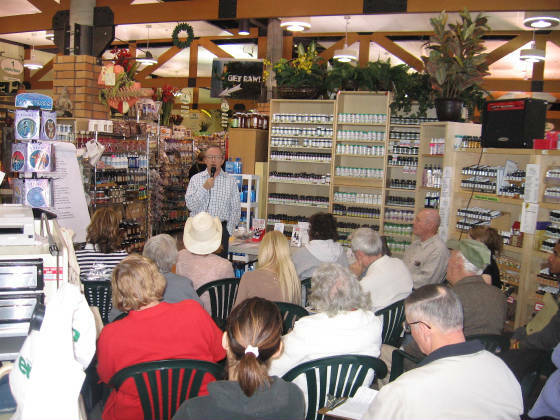 He is a consultant to the natural food and supplement industry and a former instructor for Southern California School of Culinary Arts. Ken Babal has written over 500 articles that have appeared in many popular and professional publications including Taste for Life, Developing Healthy Habits, Doctors' Prescription for Healthy Living, Townsend Letter, Well Being Journal and Drum. 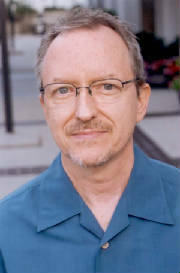 He is author of Good Digestion: Your Key to Vibrant Health (Books Alive 2000), Seafood Sense: The Truth about Seafood Nutrition and Safety (Basic Health Publications 2005), Mushrooms for Health and Longevity (Books Alive 2011) and The Yin-Yang Diet for Balanced Nutrition, Health and Harmony (Turner Publishing 2019). Ken appears in the Discovery Health Channel documentary "Alternatives Uncovered," E! TV's "The High Price of Fame: Starved!" and the reality TV series Kathy Griffin: My Life on the D-List. As a professional musician and drummer, Ken became interested in nutrition as a means of realizing one's optimum potential. "You can't have a bad day when you go on stage. Nutrition is something we have control over and it plays a huge role in how we feel and perform each day." Nutrition counseling is a process of collecting dietary information in order to correct imbalances and determine one's ideal diet and supplement requirements. Improved nutrition typically translates into better physical and mental energy and weight normalization. Over the long-term, a tailored program can reduce the risk of all kinds of diseases. Most people lack a nutrition plan or are confused about the proper diet to follow. I want you to have the confidence of knowing that your diet is right for you. You will then be more likely to stick to it. I recognize that one man's food is another man's poison. I am suspicious of those who proclaim one diet to be good for all or bad for all. Many nutritionists use a "one-size-fits-all" approach. I prefer to focus on your unique nutritional requirements based on your blood type, body type, genotype, metabolism, activity level and present condition. My approach blends cutting edge science with traditional health principles. I want you to realize your optimal genetic potential! What Can A Nutritionist Do? Personalize a diet and supplement plan, i.e. how much protein or calories do you require? (323) 906-8650 or click on the email link below.